Happy Surfing Okinawa is a new guest house and surf / paddle board school in Okinawa set up by professional surfer Danny Melhado. With its reef breaks, Okinawa is not one of the easiest places to surf, you have to be aware of the underwater topography, the tides, the currents, and weather patterns. What you really need is someone who is both a good surfer and a good teacher that can guide you through the choppy waters. 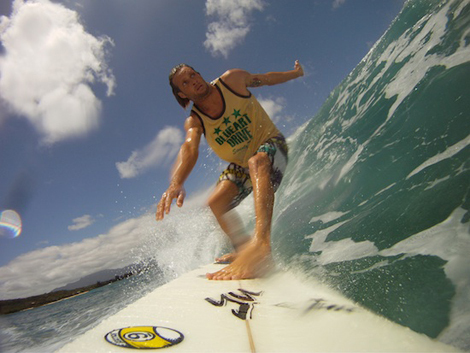 Danny is almost the archetypal laid back surfer, with a relaxed personality and an understanding of what are the really important things in life. 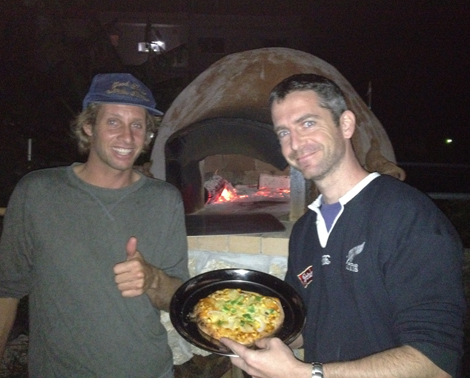 He set up a great guesthouse by the beach, built a pizza oven in the yard and continues to share his passion for surfing with others. I haven’t tried surfing on Okinawa yet, but once the warmer weather arrives I’ll definitely be giving it a go.